Single Source Restorative Drying uses the most advanced technology in order to determine the source of the water intrusion as well as what exactly is wet. Moisture in building materials can destroy the structural integrity and nurture mold. The first step in moisture remediation is to quickly and accurately locate and remove all sources of moisture. 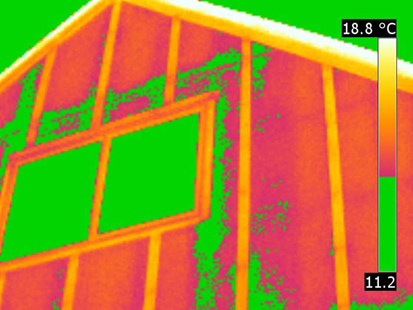 Infrared cameras show you what’s wet and what’s dry and can find the source with little or no physical disassembly of the premises and minimal disturbance of the structural materials. We can also provide the customer and the insurance company with a detailed infrared imaging report detailing all areas of concern.